✔ Small box full of insights! ✔ Can easily fit in your bag or pocket. 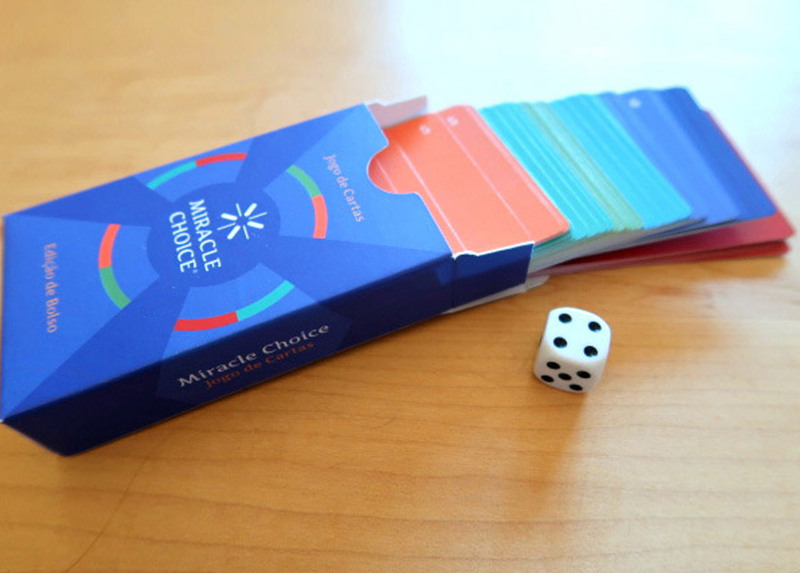 ✔ A compact version of the original board game . Simply roll the dice and get deep insights. In less than 30 minutes, individually or in a group, the cards will help you challenge your unloving choices. Experience joy and clarity by making a different choice. 60 specially created for the game + 10 quotes from ACIM*. Basic rules to start playing the game. Full of new choices and perceptions! Go deep in with this box of miracles!